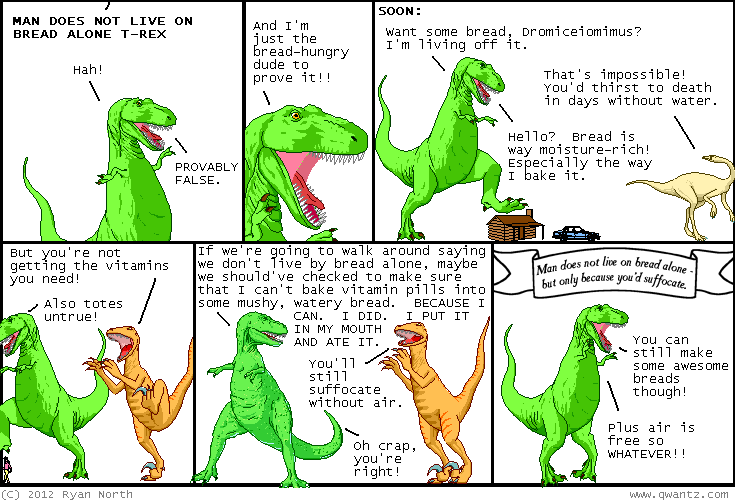 Dinosaur Comics - May 24th, 2012 - awesome fun times! May 24th, 2012: In regards to yesterday's comic, Laura sent me a link to Pope Fact! You submit a random four-letter word and it is combined with the previous four-letter word and HEY PRESTO: instant knuckle tattoo. Right now it's showing "FLATBONE" (I submitted bone!) but I know we can come up with some AMAZING TATS.